A big band is a type of musical group that plays jazz music. They were very popular in the 1930s and 1940s. A big band usually has between 12 and 25 musicians. They include a singer and people who play instruments like saxophones, trumpets, trombones, drums. 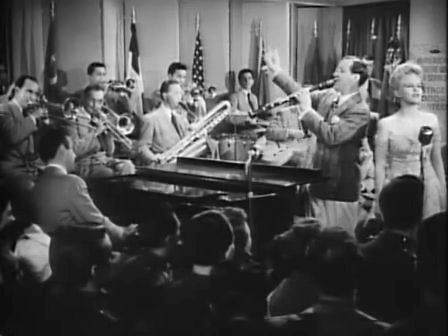 Some famous big band leaders were Duke Ellington, Benny Goodman, Glenn Miller, Cab Calloway and Count Basie. Big band Facts for Kids. Kiddle Encyclopedia.